Love this! Could cook with ease in this nice space! I love the copper pendant over the island. wOw, beautiful kitchen, love to have one like this. 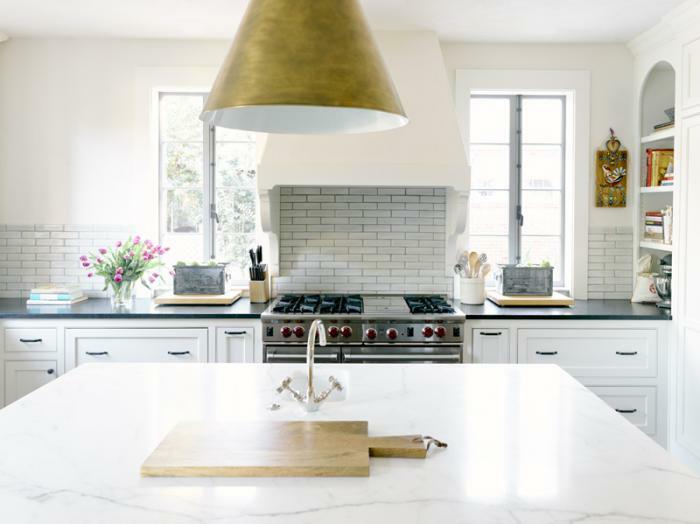 Love this kitchen, especially the subway tile with the darker grout. Hi, I just came across your blog and I adore all the kitchen interior photos. It will be very easy to cook in kitchen like these.